How do I create a challenge for my Giving Day? 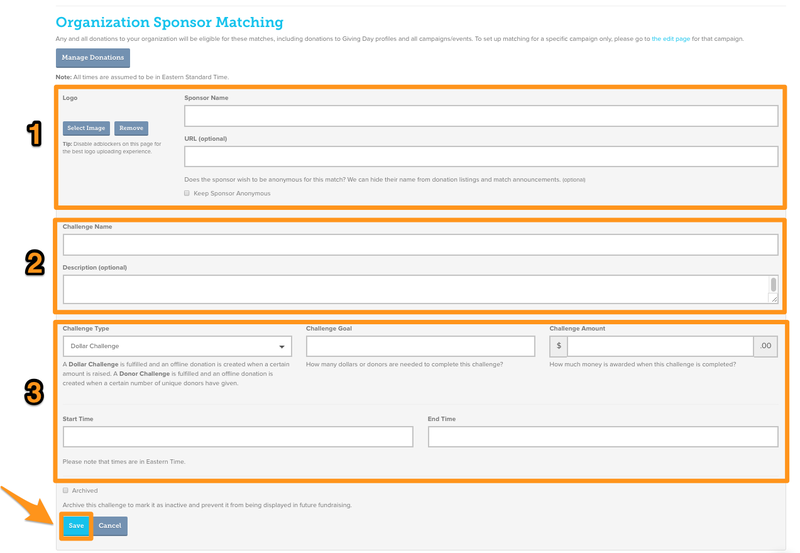 From your Giving Day Dashboard click the "Manage Sponsor Matching" link under the "More Actions" section. From this page, click the "Add Challenge" button to begin customizing the details of your donor or dollar challenge. From this form you can customize the details of your challenge and how it will appear on your Giving Day profile. Challenges are a great way to motivate your donors to help you unlock special incentives through their participation! In the second section of the form, you can customize the name and details of your challenge by adding a name and a description what the challenge helps your organization unlock. In the third section of the form, you can edit the specific details of your challenge, like whether it will be unlocked by a specific donor goal or dollar goal, how much the challenge will unlock, and optional start time and end time for your challenge. 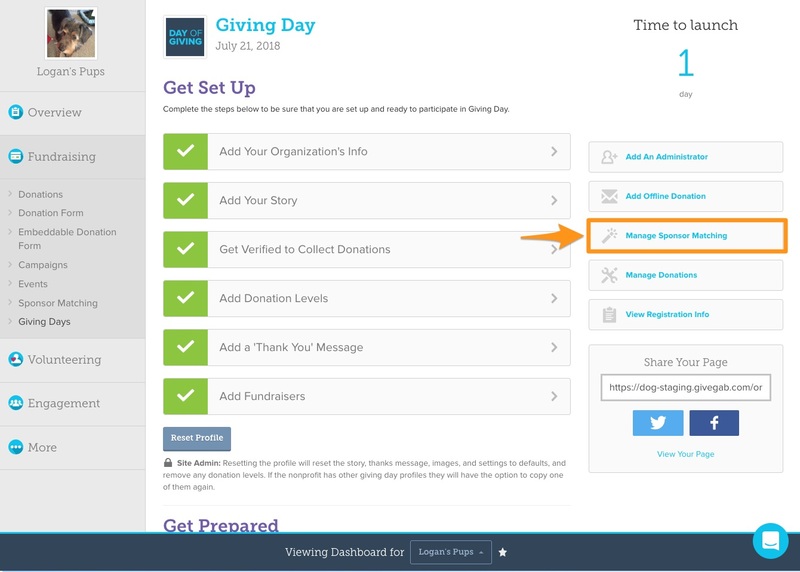 Once you've customized the details of your challenge click the "Save" button and your challenge will active and ready to motivate your Giving Day Donors!